Our goal at Nature's Best Photography from the start has been to match extraordinary moments documented in the field with excellence in printing technology. Delivering the very "best" representation of the photographer’s story in he final print is our number one priority. Every year we seek new ways to exceed the expectations of the visitors to our annual exhibitions at the Smithsonian National Museum of Natural History in Washington, DC, as well as the photographers whose vision brings us there. 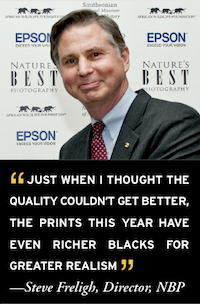 "Choosing Epson as our Official Printing and Paper Partner was easy after listening to the pros in the field and specialists in the prepress industry," says Steve Freligh, Director, NBP. "Representing the pinnacle of excellence in print, Epson developed all-new pigment-based inks with a dramatically improved Dmax for richer blacks and contrast ratios. In addition, this new pigment technology has up to twice the overall print permanence of previous printers. These changes not only improve print quality but make prints more collectible as works of art." With the accuracy of Epson's PrecisionCore® TFP® printhead and the performance of the all-new UltraChrome HDXTM inks, the Epson SureColor® P9000 delivers prints with twice the permanence, extraordinary quality with rich blacks, a wide color gamut and amazing sharpness. Combining this advanced technology with Signature Worthy® Professional Papers brings excellence to the exhibition. 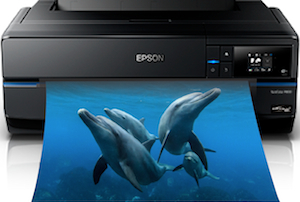 With the new Epson SureColor P800, you can print museum-quality prints at home. 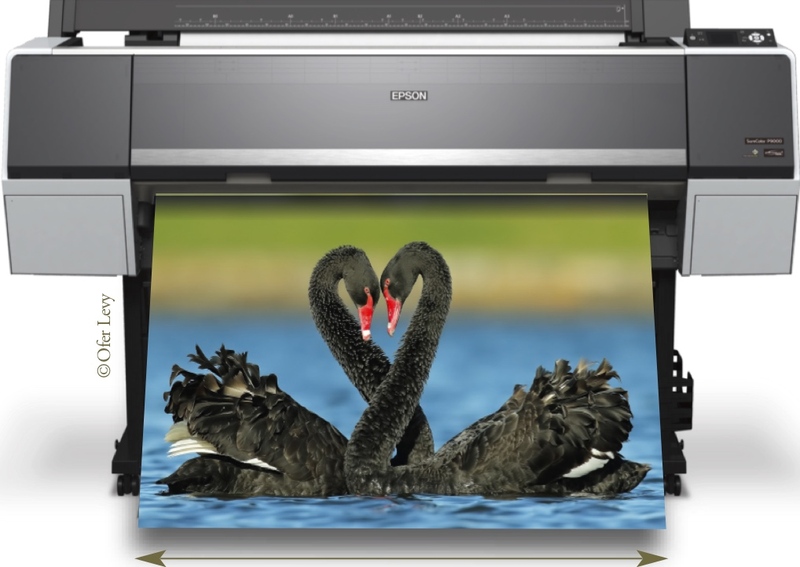 A professional-level photographic printer that fits on your desktop and features advanced media handling, the P800 is considered by many artists to be the benchmark for 17"-wide printers to achieve serious photographic imaging. Epson America, Inc. is the proud Printing and Paper Sponsor of the Windland Smith Rice International Awards Exhibition. EPSON, PrecisionCore, Signature Worthy, SureColor, TFP and UltraChrome are registered trademarks, EPSON Exceed Your Vision is a registered logomark and UltraChrome HDX is a trademark of Seiko Epson Corporation. Copyright 2015 Epson America, Inc.